What exactly is a wedding favour anyway? Well, they’re really a gift from you to your guests to say thank-you for being part of the wedding day. It’s only in recent years that wedding favours have become a big deal. Not so long ago they’d simply have consisted of a small box of sugared almonds in pastel shades. But now it seems, favours have to take up a lot of time, imagination, energy and budget. Or do they? We’re just going to run through some of the mistakes brides make with wedding favours so that you can avoid them. So you’ve seen some cute little gingerbread houses on YouTube and you’ve decided to make 150 for every guest and fill with handmade sweets. Or maybe 150 little pots of homemade jam with handwritten labels or potted herbs for each and every guest. Well, they’re all cute ideas and look fantastic on Instagram but have you really got time to go into all that? Or is it just going to be another added stress you don’t need. Some brides think that they’ll have evening crafting sessions with their bridesmaids in order to DIY favours but think carefully. Not everyone enjoys that sort of thing, has the time or is good with DIY. So whilst we’re not saying you shouldn’t DIY favours, you need to realistically consider how much time you have available. In addition, if you’re doing it to save money, by the time you’ve bought all the crafting equipment you might find things are rather expensive anyway. You don’t you know. Most people won’t even notice there isn’t a favour by the plate, particularly if the table is particularly spectacular. And if they do mind, would you want them at your wedding anyway? This is really not a good idea. You could easily spend a couple of hundred pounds on favours (or more) which might be money better spent on having a slightly better food menu or more drinks and canapés. Guests would rather be well fed than have a wedding favour anyway. Planning on mini boxes of chocolates as your wedding favours at a summer wedding? Not always a good plan, especially if your wedding is taking place in a marquee. Hot weather and chocolates don’t mix well. Keep the chocolates for spring, autumn and winter weddings. However at Easter you could give everybody a mini Easter egg. After all, it’s the thought that counts. 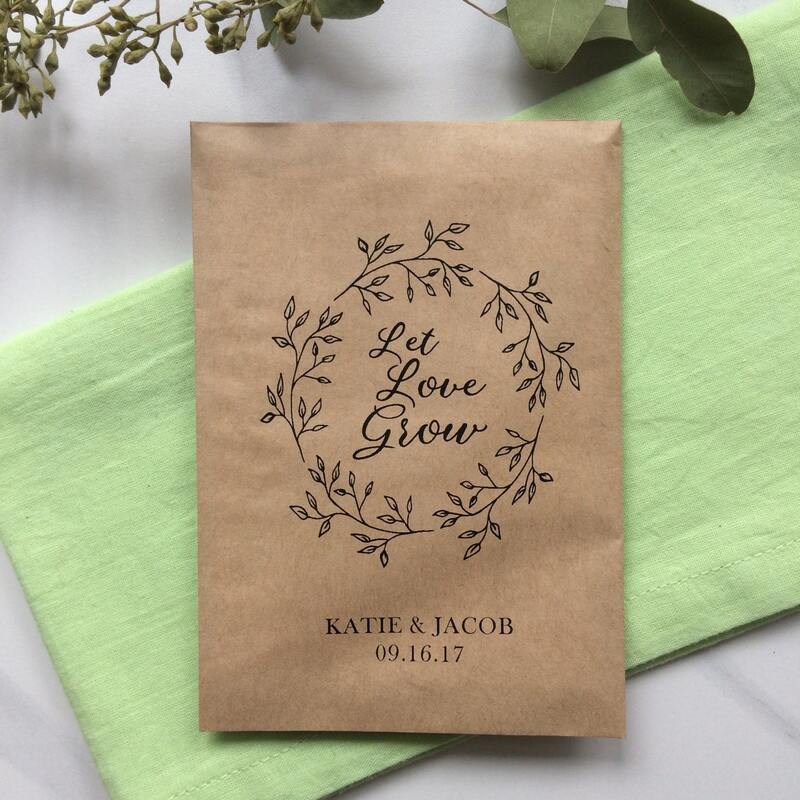 If you’re handwriting a message on your wedding favours or getting it printed, make absolutely sure that the grammar and spelling are perfect and also that you’ve spelled names correctly. Have a look on Pinterest for some ideas if you want to go a bit beyond sugared almonds. We think it’s good if a favour can be useful afterwards, so at a Christmas wedding you could put a Christmas tree decoration by each plate? Or in Spring time you could give seeds to guests in hope that they would plant them. Now you’ve read this far, have a think about what you’ve decided to do about wedding favours? Are you going to fall into any of the above traps? Or will your wedding favours just be a fun and stress-free addition to your table? That’s what you should aim for!